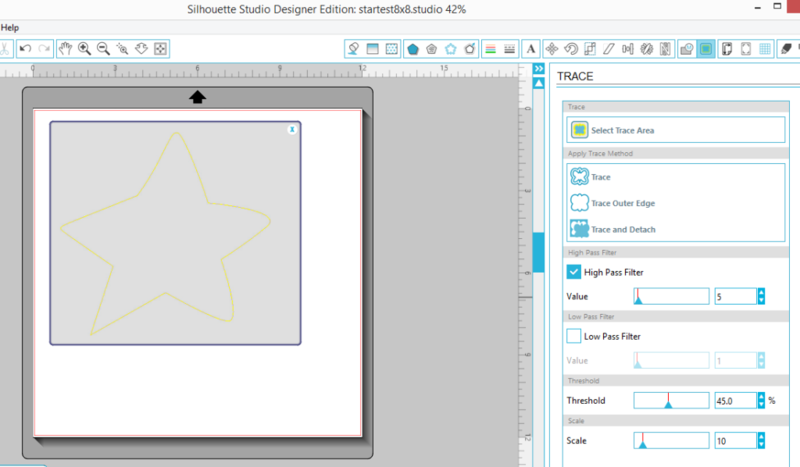 and the first step was to use “Import Vector Art” on the Art work toolbar on the lower left hand size which opened up the design on a new page. I increased the size of the design to have a width of 7.75. I had already decided that I wanted to use my 200mm X 200mm hoop and that has a 7.87 inch sew field. 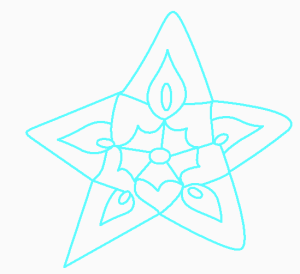 Next step in the Sequence view I changed the art work into two colors one for the star outline and one for the center flower. 1. 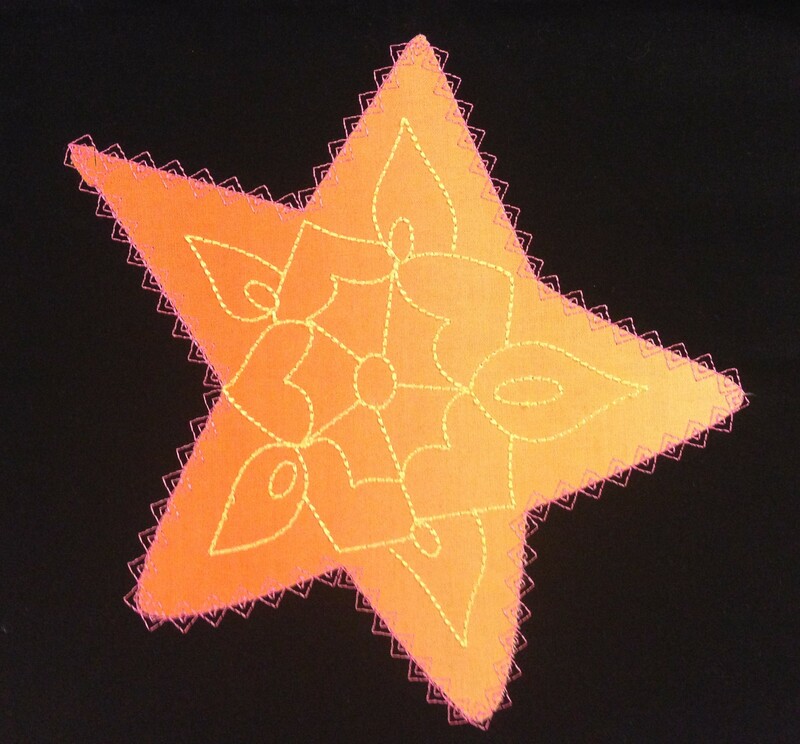 Prior to creating the applique for the star outline I had saved another copy of it to use as a cut file. 2. Ensure that it is set to Artwork work and change the Pen Width to 0.4mm. 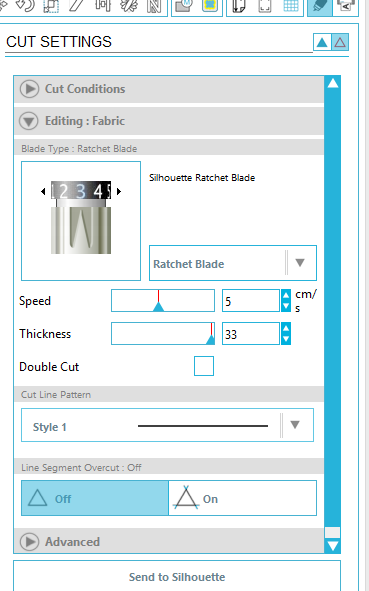 In the Apply Trace Method option select the Trace Outline Edge, you now have a file ready to cut. Prepare your fabric with fusible web, I have tired both Soft Fuse and Heat and Bond lite and they both worked great. I also use lots of Mary Ellen’s Best Press to make the fabric nice and crisp. Place the fabric on the cutting mat and ensure it is lying flat with no bumps and then you are ready to to click the Send to Silhouette button and watch it do its magic. 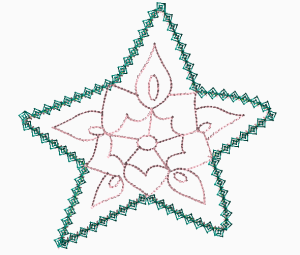 Now you are ready to go stitch out your design and have a perfectly cut fabric applique to use.